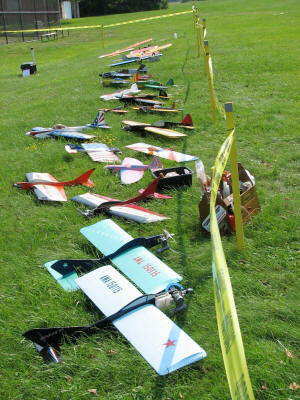 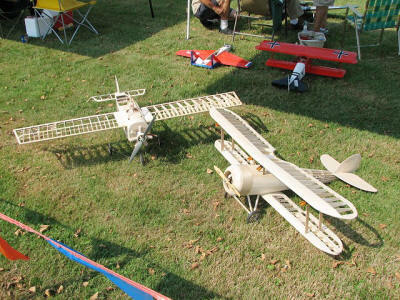 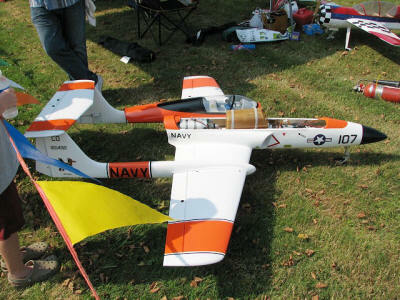 The Thermal-G R/C Club held its annual summer fly-in on August 15, 2010, at the Erie Tech Center. The day was sunny (a little too warm for me) and quite windy. 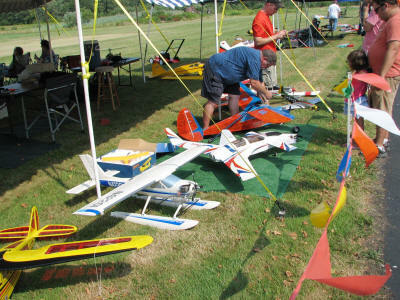 Because of the wind, most models were grounded, but a few brave souls did some flying, including quite a bit of 3-D stuff. I always get nervous seeing that stuff done so close to the pit area - especially in high wind - but at least up to the point that Melanie and I left, there had been no incidents. 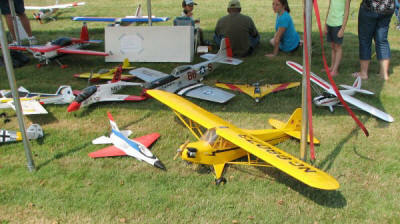 Also present were members of the Bean Hill Flyers control line club.